William J. Smith, 80, of North Versailles, died Monday, December 31, 2018 at UPMC McKeesport. Born June 13, 1938, he was the son of the late William J. and Irene Craven Smith. Mr. Smith served in the U.S. Army and was a retired manager of the Goldbug Convenience Store. He was preceded in death by his sisters, Judith Goldberg and Janet Adams, and is survived by his brother in law, Sidney Goldberg and his sister, Jeanne Lenhart. A committal service was held Tuesday, January 8, 2019 at Jefferson Memorial Park, with the Hunter Funeral Home, Inc., 1600 Coursin Street, McKeesport, PA 15132 in charge of arrangements. Bruce C. Miller, 86, formerly of McKeesport, died Friday, October 26, 2018 in North Ridgeville, OH. Born in McKeesport, September 5, 1932, he was the son of the late Harry D. and Irene Paul Miller. Husband of the late Dorothy Dull Miller, father of the late David B. Miller, brother of the late Dorothy Sauer, he is survived by his children, Gerald B. (Ramona) Miller of Pittsburgh, Lenore (Eric Meier) Stull of Elyria, OH, Sharon (Steven) Godsey of Elyria, OH, and Luana Ankney of St. Petersburg, FL, also by 10 grandchildren and 14 great grandchildren, and sister, Fern Bowers of PA. He was retired Director of Sales for the American Tobacco Company. Member, deacon, and elder of the former Central Presbyterian Church, he was a member of Fields United Methodist Church, Youghiogheny Lodge #583, F&AM, Lorain County Shrine Club, Al Koran Shrine Club, and was a volunteer at North Ridgeville Community Care. William G. Conroy, 99, formerly of Elizabeth Township, died Wednesday, October 17, 2018 at Solaris Health Care in Port Charlotte, Florida. Born in Duquesne, March 6, 1919, he was the son of the late Patrick and Mammie Gerber Conroy. Husband of the late Betty J. Hawthorne Conroy, he is survived by his son, Leslie H. (Cheryl) Conroy of Statesville, NC, by his daughter, Barbara K. (Richard) Harris of Port Charlotte, FL, and by 4 grandchildren and 5 great grandchildren. Mr. Conroy was the owner of Heavenly Homes of Liberty Borough, was a member, elder and trustee of the former Immanuel Presbyterian Church in McKeesport, was a member of Aliquippa Lodge, Free and Accepted Masons, and served in WW II with the U.S. Coast Guard. A service will be held Saturday, October 27, 2018 at 11:00 AM in the chapel of Mount Vernon Cemetery with the Rev. Dr. Jay Hollingsworth officiating. 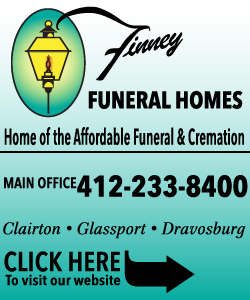 Hunter Funeral Home, Inc., 1600 Coursin Street, McKeesport, PA is in charge of arrangements. Elizabeth E. “Liz” Tedesco , 70, of McKeesport, died Thursday, October 11, 2018 at UPMC McKeesport. Born in McKeesport, April 20, 1948, she was the daughter of the late David and Vivian L. Paulson Parker. A graduate of McKeesport High School and the McKeesport Hospital School of Nursing, she was a member of the McKeesport Hospital Nurses Alumni Association. Liz was a registered nurse and served as a nursing supervisor at UPMC McKeesport. She is survived by her husband, retired McKeesport Police Chief Alfred J. Tedesco, daughter, Jodi (Ray) Templer of Penn Hills, son, A.J. (Louise) Tedesco of McKeesport, grandchildren, Caitlyn and Owen Templer, sisters, Jill (Jamie) Holtzman of White Oak and Kathy Kampman of Sebring, FL, also by her family dogs, Max and Benji, and her grand dog Oden. She was preceded in death by her sister, Karen Parker. Friends will be received in the Hunter Funeral Home, Inc., 1600 Coursin Street, McKeesport, PA 15132 on Saturday, October 20, 2018 from 1-5 PM. A service will be held in the funeral home during the visitation at 4:30 PM with the Rev. Jay Mitlo officiating. The family suggests contributions to the American Cancer Society or to the White Oak Animal Safe Haven. Sarah Deer, 80, of Munhall, died Saturday, February 24, 2018, at UPMC Elder Crest. Born in Brooklyn, NY, July 22, 1937, she was the daughter of the late Thomas and Margaret Montour Deer and wife of the late Kenneth F. Casamento. Sarah was a member of the South Hills Assembly of God. 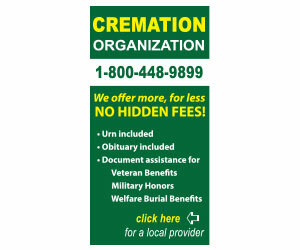 Hunter Funeral Home, Inc., 1600 Coursin Street, McKeesport, PA 15132 is in charge of arrangements. A graveside service will be held Wednesday, March 7, 2018 at Richland Cemetery, Richland Avenue, Dravosburg, PA 15034 at 11:00 AM with Pastor Rick Kardell officiating.